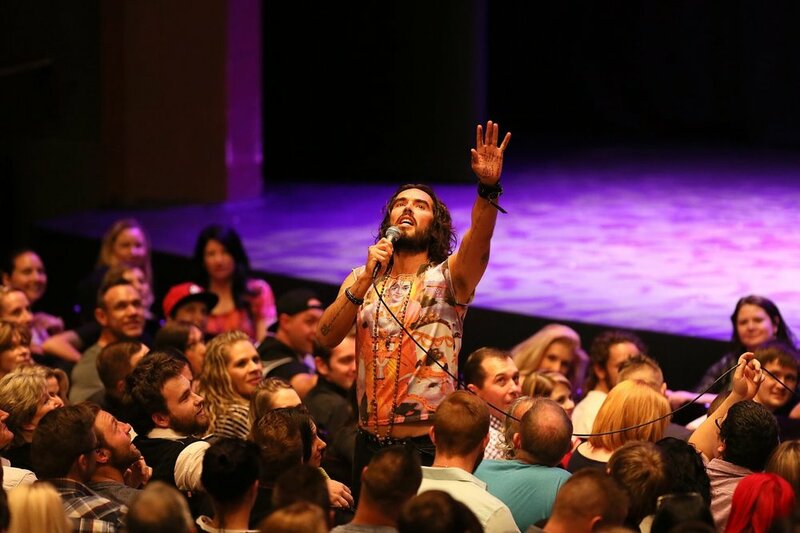 Russell Brand’s new book, Recovery: Freedom from Our Addictions, takes Bill Wilson’s 12 steps and audaciously repackages the 78-year-old dogma for our times, broadening drugs and alcohol to any kind of addictive behaviour. Brand prefers “fucked up” to “powerless”, “new perspective” to “spiritual awakening”, “The Solution” to “the program”. While he is seemingly lining himself up as the world’s sponsor, he would say “mentor”. You could say he’s been preparing for this his whole life. On childhood visits to his father, they’d listen to the old man’s M. Scott Peck and Tony Robbins tapes in the car. In his 20s, he proved to be a think-out-loud philosopher on his radio shows. But it was in 2013 that he really began to channel his attention into shaping minds.